A Federal Judge on Thursday stopped short of waiving Wisconsin's photo ID requirement to vote on or before November 8th – despite the utter failure of Governor Scott Walker's Department of Transportation to adequately train and inform DMV workers to comply with Judge Peterson's July order to clarify, simplify and make it easier for voters to obtain the most commonly-utilized photo identification required under state law to be able to cast a ballot and have it counted. 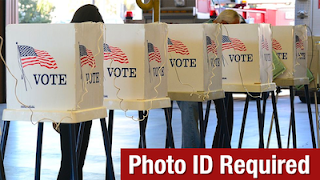 According to the voter ID law, Wisconsinites who lack one of the acceptable forms of ID for voting are able to obtain a free Wisconsin ID from their local DMV by submitting a set of requisite documents. Citizens lacking such documents are supposed to enter a "petition process" that includes the receipt of a "temporary voting credential" within six days by mail. Earlier this month, however, it was discovered that DMV workers at locations across the state were giving incorrect information about this petition process. Wisconsin's voter photo ID law will still be in place and enforced for the November 8th election and for early voting, prior to Election Day. If there is even the slightest chance you won’t make it to the polls on November 8th, don’t wait – see our guide to voting with an early, absentee ballot – in person or by mail, and then VOTE. Important: If you're voting by mail with an absentee ballot, make sure the witness who signs your ballot certificate envelope includes their address with street number, street name and municipality. Due to a recent change in Wisconsin's voting law, if this information is not included, your absentee ballot will NOT be counted. Before you head to your polling place, make sure you're prepared. 1. You must be registered to vote at your current address. If you are not or you're unsure if you are, see this information on voter registration options and deadlines. Or visit: Bring It to the Ballot. If you do not have an acceptable ID for voting and need help getting one, contact one of these two Voter ID Hotlines: (608) 729-7720 or (414) 882-8622. 3. Are you (or do you know) a college student voting in Wisconsin? 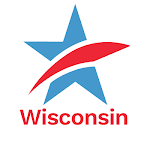 As we did in 2014, CC/WI is currently identifying and recruiting organizations and individuals statewide willing to give free rides to the polls on Election Day and/or during the early voting period. We are also raising awareness that help is available in communities across the state by sharing this "master list" of ride options widely. The list will be updated regularly as we add more groups/volunteers. If you would like to be a part of this effort to help folks get to the polls, let us know by email or phone (608-658-2109) and we’ll add you to our list of drivers within your community. Want to help protect the integrity of the November 8th election? Sign up and receive training to be a poll worker. Municipalities across the state are shorthanded and are looking for folks who can work at their polling place. Contact your local municipal clerk for more information. Or volunteer to be an election observer. Our longtime coalition partners at the League of Women Voters of Wisconsin are training nonpartisan poll observers across the state to watch for signs of voter disenfranchisement and intimidation, and to monitor the way new election laws and procedures are being applied. Sign up now using the League’s online Election Observer Volunteer Form. Exercise your most precious right as an American citizen – VOTE. And then do what you can to help make sure every eligible voter you know is able to do the same! Voter Photo ID is Still in Effect for Early Voting and Nov. 8th ElectionTweet this!